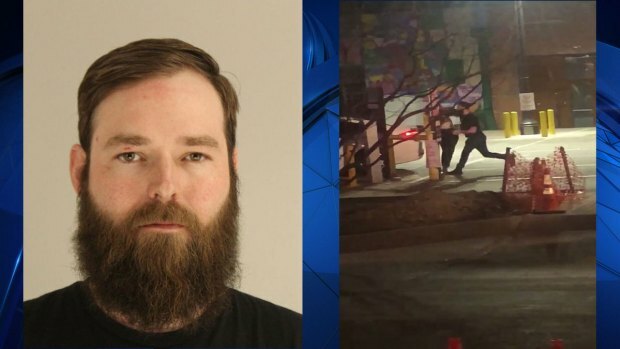 Dallas police have arrested a man who they say was involved in an argument in a Deep Ellum parking lot. The argument was caught on video by a witness and shows a man punching a woman at least five times. The man who recorded the video did not intervene, but did call police for help, according to civil rights attorney, Lee Merritt, who now represents the victim. Investigators said 30-year-old Austin Shuffield got out of his truck and asked the woman involved to move her car, since it was blocking the parking lot exit. The unidentified 24-year-old woman told police she moved her car into the parking lot and said Shuffield then approached her and started arguing, police said. 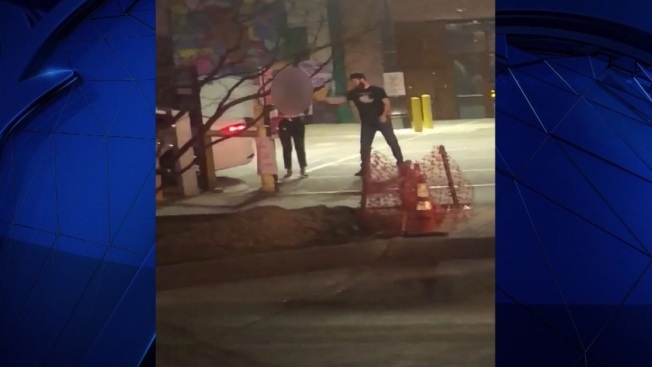 Video obtained by NBC 5 from witnesses on-scene shows moments after Shuffield slapped the woman's phone from her hand, she hits him, then he starts punching the woman, at least five times. Shuffield has been charged with Assault - Bodily Injury and Interference with an Emergency Call. He was booked into the Dallas County Jail, but has since been released on $2,000 bond. Merritt tells NBC 5 his client is now fearful because he's out of jail. He's also seeking stiffer felony charges.